A note of encouragement from our friends at the Institute for Creation Research along with selected quotes from William Kelly. "In this verse, it is not the Lord coming to meet His own and gather them to Himself in the air; but, "every eye shall see him . . . and all kindreds of the earth shall wail because of him." When the Lord comes to meet His Church, it will be far different. God has joined us to the Lord Jesus Christ in heaven, according to the power of His work on the cross and His resurrection. As far as the spirit is concerned this is true now, and will be true of the body itself when Christ comes. The resurrection of Christ calls me to live thoroughly unto God, as the death of Christ makes me as much dead in principle to the world as if I were already dead. In practice, alas! we have to own sad falling short. Still, says the apostle, "Your life is hid." It is the life of Christ you have in you. As long as Christ is hidden, you are hidden also." "The very religion of the world will be judged, because Christ was cast out by the world's religion. When He comes with clouds, every eye shall see Him. But this will not be the case when He comes to fetch His Church. God is gathering the friends of Christ around the Name of Christ now. The Church is a body which is called while Christ is not seen, and the Christian having his portion in Him now, is hidden with Him. "Your life is hid with Christ in God."" "But the time is coming when that will no longer be the case. "When Christ, who is our life, shall appear, then shall ye also appear with him in glory." (Colossians 3: 4.) When Christ comes to receive the Church, no eye will see Him but those whom Christ comes for. When the world sees Christ, it will be when He comes in glory, bringing His saints with Him — revealed from heaven with the angels of His power, in flaming fire taking vengeance on them that know not God (the Gentiles), and on them that obey not the gospel of the Lord Jesus Christ (the Jews). If the world were to see Christ coming alone in glory before the Church is caught up to Him, it would not be true that, "when Christ, who is our life, shall appear, then shall ye also appear with him in glory." When Christ is hidden, you are hidden; when Christ appears, you will appear." "The world will never see Christ without the Church. It will not see Christ coming to receive the Church, because then they would have seen Him without the Church; whereas, the very first moment of His appearing is to be the moment of our appearing with Him. And this does not merely rest upon a word; it is the doctrine of the whole passage; and the same thing is shown and confirmed by other proofs throughout the New Testament." 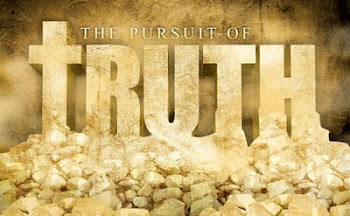 No person can ever go contrary to truth without getting into the very trouble he is seeking to escape. In Christ's death we are dead to the world; in His resurrection we are risen, and are therefore to have our hearts set upon heavenly things before we see them. And more than that. Christ is not always to be hidden: He is about to be manifested; and when He is manifested, we shall be manifested also, along with Him. Christ and the Church must have been together before they are manifested to the world, if they are to appear together. In Revelation 19, we have this manifestation, where we are told (verse 11 -14), "I saw heaven opened, and behold, a white horse; and He that sat on him was called Faithful and True . . . and the armies which were in heaven followed Him upon white horses, clothed in fine linen, white and clean." "The horse is the emblem of power; the white horse of prosperous, victorious power. It is the Lord Jesus Christ coming in judgment, which will be the time when He comes in the clouds of heaven. These armies that are seen following Him out of heaven, clothed in fine linen, are not angels. This very chapter says that the fine linen is the righteousness of saints. And the remarkable thing is this: that when angels are described in Rev. 15 as being "clothed in pure and white linen," a different word is used. It is the heavenly saints who are thus spoken of in Rev. 19 as the armies of heaven. They were in heaven, therefore, before the way was opened for Christ to come out in judgment; and they follow Him from heaven when He comes. I doubt not that angels are in His train also, as appears from other texts; but they do not seem spoken of here." 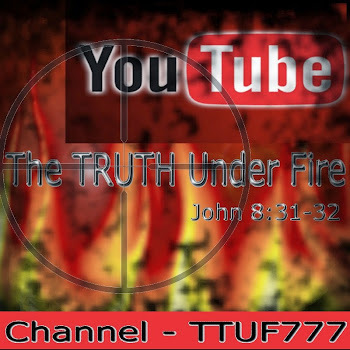 "There are two most important and different stages of the Lord's second coming. There is the coming of Christ to receive His people to Himself, and that is what the Church ought always to be waiting for; and there is Christ's coming to judge the world, when He has already taken up the heavenly saints, and wickedness thereafter comes to its head. Then, suddenly, the heavens will open, and the Lord Jesus Christ will come and the Church with Him, appearing together in the clouds of heaven with power and great glory. Is it asked, how? Israel was not told how they were to be delivered out of Egypt. The Lord was going to deliver them, but He did not explain it before it came to pass." "And the Lord is going to bring the church to heaven by the coming of Christ. After that, the Lord Jesus Christ will come and judge the wickedness of the world, and then the Church will come with Him." The moment I find Christ my Saviour is dead to the world, I become dead to the world also. Paul stated in the book of Philippians 1:21, “For to me to live is Christ, and to die is gain.” Not only will I find my treasure there, but the very religion of the world judged, because Christ was cast out by the world's religion. What a glorious hope we have as believers! If our life from now to then is filled with abject misery and sorrow; suffering and agony; despondency and hopelessness - - still, this time is but for a moment compared to the infinite halls of eternity where we shall EVER BE WITH THE LORD JESUS CHRIST! Then we shall know that eternal weight of glory, and all former sorrows shall pass away, neither shall they come to mind, for the arrival of our precious LORD will wash away such mortal pains! HALLELUJAH, EVEN SO COME QUICKLY LORD JESUS! Thank you Mrs. Kisly for this wonderful article that points us saints by way of reminder to the Coming KING!